allows us to complete your survey projects on schedule year round. 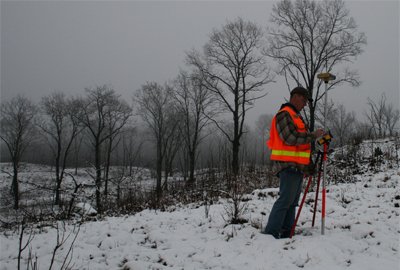 Wetherell Land Surveying LLC is a professional surveying company owned and operated by Patrick N. Johnson, PS 47956. 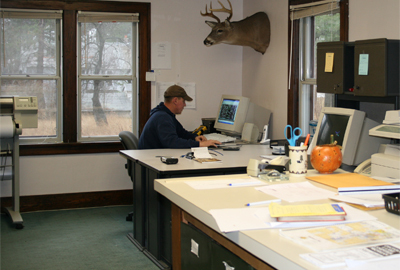 Our offices are located in Baldwin, Michigan. Lake County, where Baldwin is situated, is known for its natural resources including vast amounts of State and Federal owned land, numerous lakes and streams, and miles of hiking, biking, ORV, and snowmobile trails. Wetherell Land Surveying LLC has an excellent reputation with local municipalities, real estate professionals, and private citizens. We can help you with land surveying needs such as land divisions, boundary line marking, subdivisions, site condominiums, site plans for construction, ALTA surveys, and many others. We pride ourselves on taking enough time on each project to ensure that the result is a correct, quality product. We specialize in boundary surveying, and have the equipment needed to do your job efficiently and correctly the first time. We take time to listen to your needs, give sound advice, and provide estimates at no cost. We stand by our quotes, and will not over-bill, or fail to finish your project by the time specified. A licensed professional surveyor completes every job. Need a large document copied? Our equipment is capable of scanning and printing documents up to 36" x 48". In black-and-white, and color! We accept credit card payments, with a 3% surcharge.